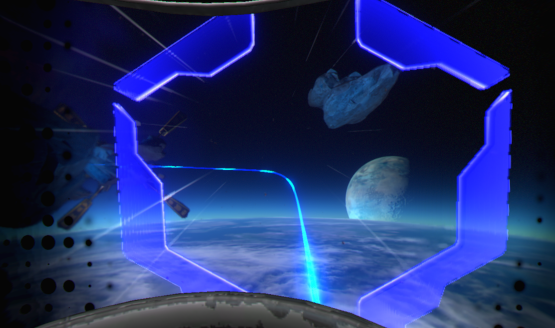 Feel like playing an arena shooter in VR? Ubisoft believes they have just the thing with Space Junkies. Featuring fast-paced run-and-gun shooting set in microgravity, plus cross-platform play, is this a trip worth taking the plunge in VR? Find out in our Space Junkies PSVR review. The Unreal Engine powers Space Junkies, to great effect. Environments are clear, and the all-important frame rate stays consistently high throughout the experience. Levels are mostly full of twisting, tight corridors, intended to funnel players towards one another. Guns and powerups are strewn about the levels, some even hidden or surrounded by hazards. There is health and armor to pick up as well. Really, anyone who played the likes of Unreal Tournament or Quake III Arena will feel right at home in these levels. Movement is a tough thing to nail in a VR game, and you really only get one chance to get it right. Unfortunately, Space Junkies leaves a lot to be desired with its control scheme. Only the DualShock 4 is supported. This could be because general movement and strafing is mapped to the left analog stick, while the right stick is used for camera view movement, in increments of 45 degree angles. The shoulder buttons are mapped to each hand, and reloading is done by rapidly moving the controller up. Most VR games are awkward enough to control with the DualShock 4, but Space Junkies’ usage of the controller is very awkward. Rather than aiming using the right analog stick, it is performed by holding the controller up, light bar facing the camera. This may ease motion sickness, but it makes aiming a real drag. This should have been a user-selectable option, as gamers’ tolerance for motion sickness can vary, and many of us could easily handle the disorientating, but quicker, method of aiming with the DualShock 4 as seen in such games as Starblood Arena (RIP). Space Junkies PSVR Review – Cross-Platform, Hooray?! Cross-platform play seems to be slowly working its way into PS4 games, and not only does Space Junkies allow this, it defaults to it. PC and PS4 players are jumbled into lobbies together from the outset, and while this setting can be changed to only matchmake with other PS4 players, the setting is temporary. In fact, if (or, given the low console population, when) no match can be found, you are prompted to extend the search, which sets things back to cross-platform. There are a handful of classes to choose from, with varying stats such as speed, health, etc. A large selection of player banners are also available, to display with pride as they are unlocked via in-game loot boxes, which are rewarded after leveling up or purchased with in-game (non-premium) currency. There is also only really one game mode to speak of, which launches you straight into online. Time spent in between rounds is done in a playground of sorts, with things to interact with, weapons to pick up, and other players to shoot as you wait for other players to get ready. Voting for maps is done by actually shooting them on an in-game display, which is a fun touch, while readying up is done by physically gliding over to a designated room. When you die in a match,—and you will die a lot—you respawn in a room that is set to your team or player color, and it is quarantined off from the rest of the action. After a handful of seconds, you’ll automatically be teleported into the fight, or you can leave the room before this countdown to get right back into the thick of things. 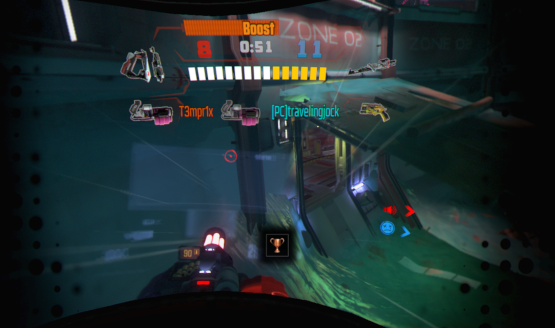 Space Junkies does at least want to give players a sporting chance and getting their bearings after an experience as jarring as respawning in VR. Space Junkies is a fun arena-style shooter, with an unfortunate control scheme. The addition of cross-platform play helps to get a game going, at the expense of any sort of balance. PC players have the advantage of a much better control scheme. Move controller compatibility would go a long way towards rectifying this, even if it’s still not an ideal control mechanism. As a technical showcase, Space Junkies looks and attempts to play as a fast-paced arena shooter, and it mostly gets that part right. It’s just a shame the controls get in the way on console, making the PSVR version feel lesser. 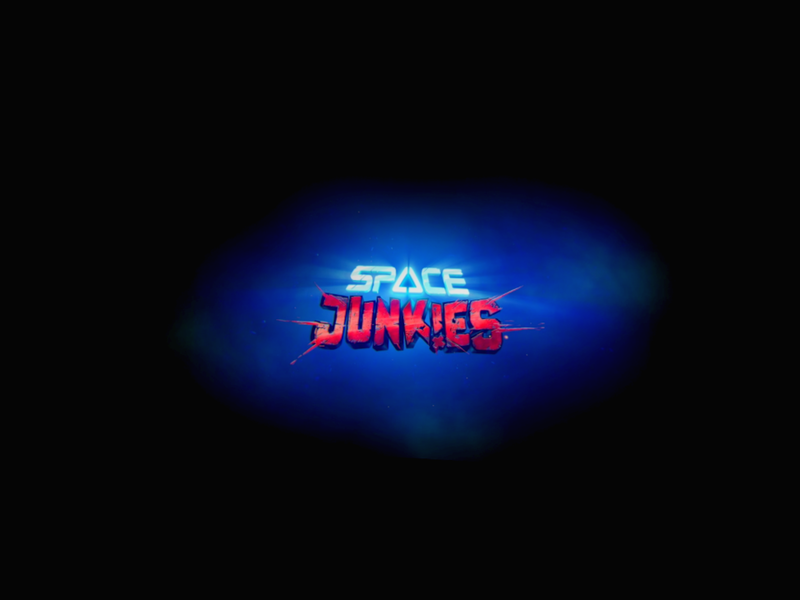 Space Junkies PSVR review code provided by publisher. Version 1.00 reviewed on a PlayStation 4 Pro. For more information on scoring please see our Review Policy.